Now that the weather is consistently warmer, a lot of people will suddenly increase their outdoor exercise activity. Of course, we know regular cryotherapy sessions help with decreasing aches and pains and increasing your energy and recovery time, but we wanted to share some recovery tips from our neighbors, JackRabbit, a store for runners and fitness enthusiasts located at 355 Springfield Ave. in Summit. “We see a wide variety of injuries from performing multiple activities that could have been avoided by developing certain habits and utilizing specific techniques when exercising,” said Harper, whose store caters to a range of fitness enthusiasts and carries cross trainer shoes along with traditional running sneakers. 1. Listen to your body: So often we see people rush into things or push through certain ailments because they can. But that will actually do more harm than good. No one knows your body better than you. So if something feels off or if you feel like you need to take a bit lighter one day, then that is exactly what you should do. The worst thing someone can do is force a movement or an activity. 2. Warm up and cool down correctly: When warming up the body it is important to incorporate dynamic stretching. 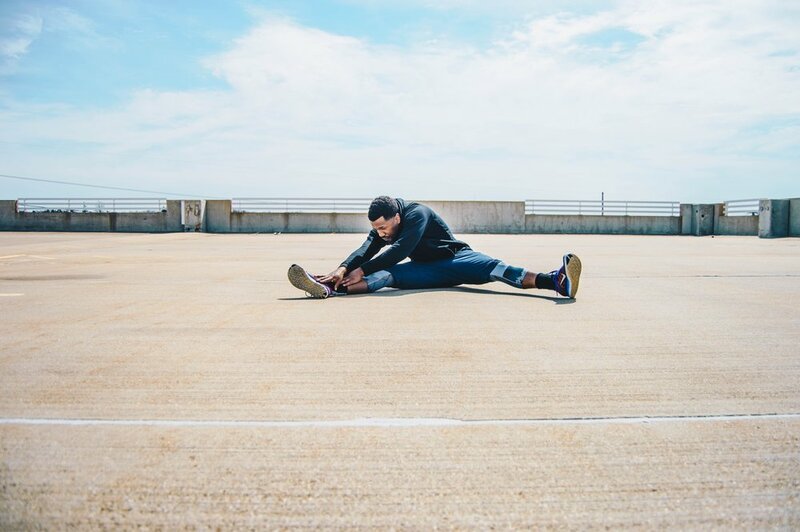 Dynamic stretches mimics the movement you will perform during the activity to prepare the body for increased blood flow and muscle temperature for optimal performance. When cooling down the body it is important to incorporate static stretching. Static stretching involves holding a position for a period of time that benefits the joint and muscle. 3. Self-myofascial release: Or in other words, foam rolling. Exercise enthusiasts often forget just how important our fascia is to us. Fascia is a connective tissue that can be found throughout our entire body. The role of our fascia is to provide a supportive and movable wrapping for nerves and blood cells as they move between our muscles. Imbalances in this area can lead to chronic pain and limited range of motion. So it is important to foam roll and/or to get a regular massage to release the fascia. Most times it is not so much the actual muscles causing the issue but the fascia around the muscles. 4. Cross Training: This is super-important for all sports and activities. Doing too much of the same thing is a good and bad thing. While performing the same movements over again will help you get better at that activity it will also place a continuous stress on your joints and muscles. We like to say, all movement either originates or moves through your core; so the stronger and more flexible your muscles are the more efficient your movement will be. So by adding exercise 3x a week that promotes better core stability will allow you to avoid any unwanted injuries due to muscles imbalances. 5. Proper equipment: While running is not viewed at an expensive sport, it is still worth it to make sure you are using quality equipment. Whether that is sneakers, socks or apparel, having the right stuff on your body can aid in better performance. For example, if you do not know if you over-pronate or supinate, you can be in running in the wrong sneakers entirely. So come get fitted with us and go through a full gait analysis so you can make sure that you wearing the right sneakers regardless of what you're doing.